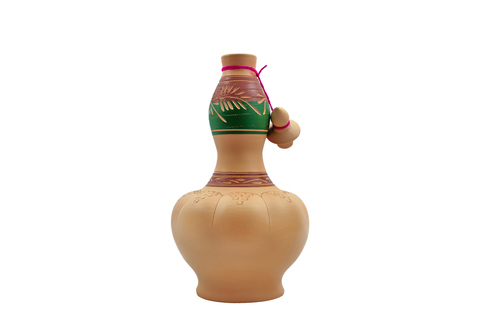 This beautiful clay drinking water carafe is made from HIGH-QUALITY CLAY & 100% natural sources. It is HAND-CRAFTED and engraved with traditional motifs. 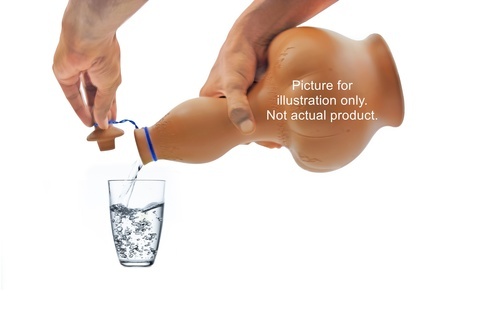 Its natural gourd shape design allows for natural water circulation and enhances the QUALITY OF DRINKING WATER. Alter your tap water into MINERALIZED ALKALINE drinking water and keep it COOL NATURALLY with this beautiful clay drinking water carafe. Delight your guests with home-made mineral water at the dining table! 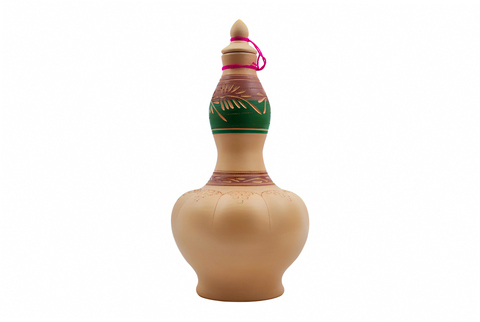 NATURAL GOURD SHAPE DESIGN – This carafe is shaped after the fruit Garcinia Atroviridis. This is the shape used traditionally for many years. Naturally occurring shapes allow for natural water circulation, REVITALIZES WATER and enhances its quality.